Consider these two scenarios: You’re a landlord with a unit to rent. A family with two young children submits an application and passes your tenant screening. You offer them an apartment on a specific floor in a specific building, because that’s where all of the families with children live. A young minority couple applies to rent a house you own. They have shaky credit and their previous landlord reports that they were often late paying rent. You reject their application. 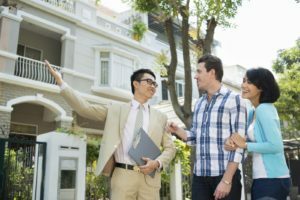 Owning rental property can be a lucrative endeavor, but landlordship is rife with potential legal pitfalls. There are strict rules for screening and picking tenants, and landlords who fall on the wrong side of the law can face significant consequences. By law, landlords have the right to choose tenants they believe will be responsible, good stewards of a property. Landlords can, and should, consider every applicant’s income, prior rental references and credit history. However, landlords cannot base their decision to rent, or not rent, to someone on factors associated with a legally protected class. Nevada law prohibits rental discrimination because of race, color, national origin, religion, gender, sexual orientation, gender identity, gender expression, disability or familial status, such as pregnancy or number of children. Nevada law in many ways mirrors federal law. The federal Fair Housing Act similarly prohibits housing discrimination based on race, color, national origin, religion, gender, disability or familial status. Where Nevada differs, however, is in protecting ancestry, sexual orientation, gender identity and gender expression. While the U.S. Department of Housing and Urban Development (HUD) investigates cases that fall under the Fair Housing Act, the Nevada Equal Rights Commission handles cases related to Nevada-specific protected classes. Discrimination also goes beyond just choosing a tenant. Landlords and property managers are legally prohibited from using information related to a protected class to determine the availability of housing, lease terms, security deposits or privileges of residency. It’s illegal, for example, to restrict children from using an apartment complex pool or recreation area — all tenants, regardless of age, must be afforded the same rights and privileges. It’s also illegal to segregate families to a particular building or floor, or rent only to people without kids. Once she educates clients about the law, they understand and proceed fairly, said Ladd, who has been managing rentals for eight years. To add another layer of legal protection, Ladd has a personal policy of accepting only one rental application at a time for each available property. That way, rather than comparing numerous applications against one another and facing potential perceptions about discrimination, she and her clients consider each applicant individually based on income and credit and rental history. If one particular applicant doesn’t pass muster, Ladd opens up the property again to additional renters. The majority of property management companies, locally and nationally, accept multiple applications for each property, Ladd said. Zook, of the Silver State Fair Housing Council, said disability cases are most prevalent for her agency. The discrimination Zook sees typically isn’t mean-spirited, she said, but it’s damaging and illegal nonetheless. State and federal law dictates that landlords, property managers, homeowners associations and other housing providers must make reasonable accommodations for tenants with disabilities and allow disabled tenants to make reasonable alterations to a property at their own expense. Those types of accommodations, however, can create issues, particularly with HOAs, which are designed to ensure uniformity and consistency in a community. Zook said the Silver State Fair Housing Council has handled several cases in which homeowners associations pushed back when disabled residents took steps to install ramps, alter parking spots or change the configuration of driveways. Often, the determination comes down to a simple question: Does the benefit to the person seeking housing outweigh any inconvenience to the housing provider? Another common category of disability complaints focuses on animals. Fair housing law protects both service animals and emotional support animals, regardless of whether a landlord has a “no pets” policy. Unlike the Americans with Disabilities Act, which specifies service animals as dogs or miniature horses, emotional support animals can be any species. Zook cited a fair housing case in Southern Nevada in which problems arose because of a tenant’s poultry. A doctor recommended that the person care for chickens as a way to mitigate a medical disability, but the landlord and local municipality balked. Both sides ultimately worked through the problem, and under the Fair Housing Act, the tenant was allowed to keep the birds. “Sometimes it’s a moment of education for the landlord,” Zook said. Penalties for fair housing violations can include fines, punitive damages and attorney fees. Tenants may be entitled to reimbursements if they were denied or displaced from housing and had to find more expensive or more distant accommodations. Fair housing training also often is mandated. In 2016, HUD increased civil penalty amounts for Fair Housing Act violations. The maximum for a first violation is now $19,787, up from $16,000 previously. Someone with two housing violations in five years can be fined up to $49,467, and housing providers who violate the Fair Housing Act two or more times in seven years face a maximum penalty of $98,935. The previous penalties were $42,000 and $70,000, respectively. For many of the people being discriminated against, however, money falls to the periphery of the conversation. Good recordkeeping and communication are essential in protecting housing providers from discrimination claims, said Robbie Cronrod, founder of TenantAlert.com, a tenant screening website. Document everything: Keep all documentation — rental applications, signed releases and tenant screening reports — for at least three years, even if you don’t rent to the applicant. This information can be crucial if a rejected applicant questions your denial or selection of a different tenant. A paper trail can help you prove that the person was not denied residency based on discrimination but because a more qualified tenant was selected instead. Send an adverse action letter: When rejecting a potential tenant, be sure to send the person an adverse action letter, also known as a declination letter, outlining the specific reason or reasons he or she was denied, such as credit score or high debt-to-income ratio. Examples and templates of adverse action letters are available widely online.